Many people create a Florida will or trust and then simply forget about it. But estate planning is rarely a one-shot deal. Over the course of your life many things may change, including the status of your existing family relationships, and that should prompt a review and, if warranted, a revision of your existing estate plan. In some cases the law will force you to change. Since the 1950s, Florida has had a “revocation upon divorce” law on the books applicable to wills. This means that if you signed a will during your marriage that conferred certain benefits on your spouse, those provisions are automatically revoked in the event of a divorce. Note this does not invalidate your entire will; the law simply acts as if your spouse “had died at the time of the dissolution, divorce, or annulment of the marriage.” And you are free to include language in your divorce settlement, or create a new will post-divorce, that restores your former spouse’s rights. Florida extended its revocation-upon-divorce rule to trusts in 1989 and to a variety of non-probate transfers of property in 2012. The 2012 rule, found in Section 732.703 of the Florida Statutes, applies to assets like life insurance policies, retirement accounts, and payable-on-death bank accounts. These kinds of assets generally require you to designate a beneficiary who assumes ownership upon your death. These are non-probate transfer because they occur outside of the terms of your will or trust. Section 732.703 only applies to beneficiary designations made on or after July 1, 2012, the date the law took effect. This means that if you signed a beneficiary designation form prior to that date, and it names your now-former spouse as a beneficiary, that designation remains in force. Many other states have not adopted this rule, however, and it has led to a good amount of litigation. In fact, the U.S. Supreme Court recently agreed to hear a challenge to Minnesota’s revocation-upon-divorce law, which unlike Florida’s rule has been applied retroactively. Minnesota adopted its rule as it applies to beneficiary designations in 2002. A husband and wife married in 1997, and shortly thereafter he named her as the beneficiary of his life insurance policy. The couple divorced in 2007. The ex-husband died in 2011, having never changed the designation of his life insurance beneficiary. His children from a prior marriage, the contingent beneficiaries of his life insurance, claimed the proceeds should go to them because the 2002 law revoked the designation of the ex-wife. A trial court sided with the children, but an intermediate federal appeals court held the Constitution forbids the State of Minnesota from retroactively nullifying the terms of an insurance contract. The Supreme Court will decide the matter once and for all sometime next year. 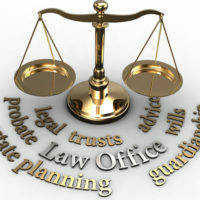 Need Help Reviewing Your Florida Will or Trust? Although Florida’s revocation-upon-divorce law may not be retroactive, if you have assets subject to the laws of another state the Supreme Court’s ultimate decision may still affect your interests. And in any event, when there is a marriage, divorce, or any other significant event in your life, that is a good time to sit down with a Fort Myers estate planning lawyer to discuss possible changes to your will or trust. Contact the Kuhn Law Firm, P.A., at 239-333-4529 today to schedule a free estate planning consultation with a member of our team.